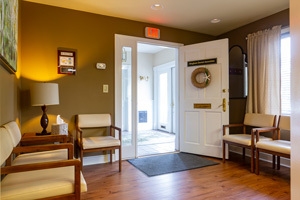 Hingham Dental Associates is a modern, family practice that focuses on preventative, restorative, and cosmetic dental care. 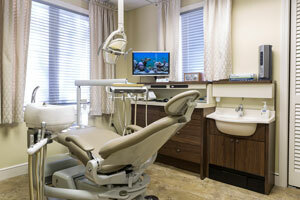 We strive to use the latest technology as well as the most current dental materials and procedures. We aim to build long-term relationships between our staff and patients to provide personalized dental care. 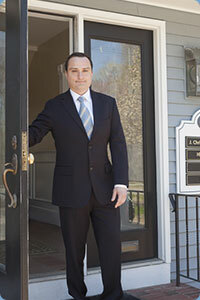 Hingham Dental Associates is pleased to have team members who genuinely enjoy working with patients. Their friendly disposition creates a warm, welcoming environment that helps patients feel at ease during their dental treatment. Our priority is to offer comfort within all areas of the practice and efficiency of service to ensure only positive dental experiences. Our dentists share the philosophy that oral health is directly related to overall health. Recent studies show that bacteria from tooth decay and gum disease can circulate through the bloodstream, increasing the risk of serious health issues such as heart disease. We understand we are not just treating a tooth but rather an entire person who has unique, individualized needs. We evaluate your complete medical and dental history to form a dental treatment plan that is right for you. Having a treatment plan and understanding your dental needs helps prevent problems like broken teeth and toothaches before they arise. Under the guidance of a dentist our registered dental hygienists provide preventive services, including routine dental cleanings and x-rays, to help you maintain healthy gums. If you should need more extensive gum treatment we provide periodontal services such as deep cleanings and periodontal maintenance appointments. Hingham Dental Associates offers a full line of restorative dental services such as composite restorations (white fillings), porcelain crowns, and dental implants. We also offer cosmetic dental services including veneers, ZOOM!® teeth whitening, and Invisalign invisible braces. Our staff treats patients of all ages. Children receive professional cleaning appointments by registered dental hygienists in addition to having an exam by one of our dentists. We screen children for tooth decay, and provide orthodontic evaluations. Sealants and fluoride treatments are offered to help prevent cavities. Individualized oral hygiene instruction is given to help you and your children use the best techniques at home to maintain optimal oral health. As your children grow we can continue to provide them with the highest level of care so they do not have to switch offices or adjust to a new dentist. Our office coordinator is always available to assist you with any questions you may have about scheduling appointments, making financial arrangements, or utilizing your insurance plan. During complex treatment cases it may be necessary to involve a specialist. Our dentists only refer to local, trusted specialists who share our philosophy. This enables us to provide you with the best treatment options available. Our office coordinator will help you with the referral process and provide you with any phone numbers, x-rays, or forms you may need. We want to eliminate any stress you may have so when you are in the treatment room you can relax and focus on your dental health. We are truly committed to providing you with comprehensive, compassionate care.